Less prosaic, but more tantalizing: It almost was. In the long run, Ben Holladay was right; grass would grow on Front street. At the time of his infamous quip, delivered as he touted his plans for East Portland, it seemed unlikely. Lined by grand iron fronted merchant houses, such as Starr, Allan and Lewis and most importantly, the Oregon Steam Navigation Company, Front street drew commerce directly from the river and pushed it into the heart of the city. Its enterprises were at the root of the Portland establishment's fortunes. In the century that followed, Front would morph from street, to avenue, to parkway and witness the rise and fall of the Harbor Drive freeway and the birth of Tom McCall Waterfront Park. Prior to both, a very different waterfront nearly came into being. 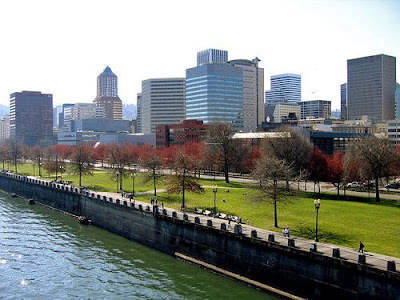 By the second decade of the the twentieth century Portland had turned its back on the river. Behind the impressive facades, the warehouses and wharfs of the old city had become a decrepit, disused warren as the harbor moved down stream. In 1919 the City Council called for a massive reworking of the waterfront. The resulting plan, by City Engineer Olaf Laurgaard, was released in 1923. 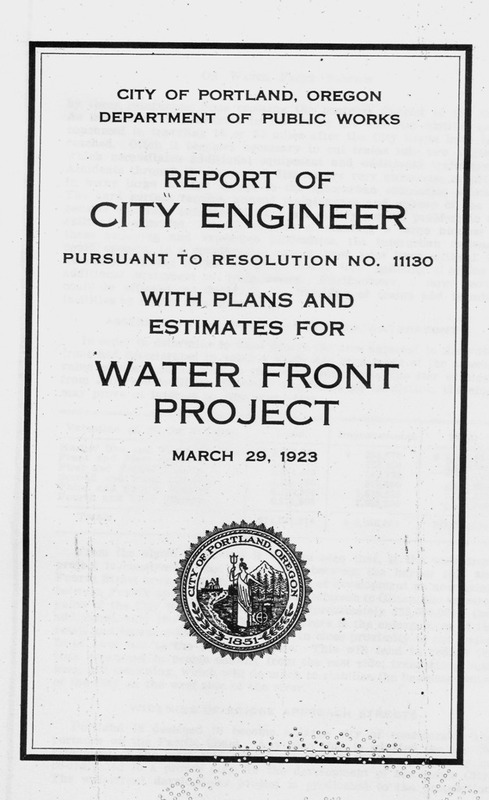 The Report of City Engineer, Pursuant to Resolution No. 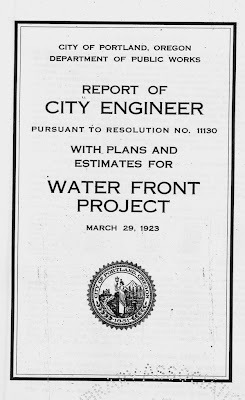 11130, With Plans and Estimates For Water Front Project , March 29 1923 was an ambitious recasting of the riverfront that sought to address multiple municipal ills. 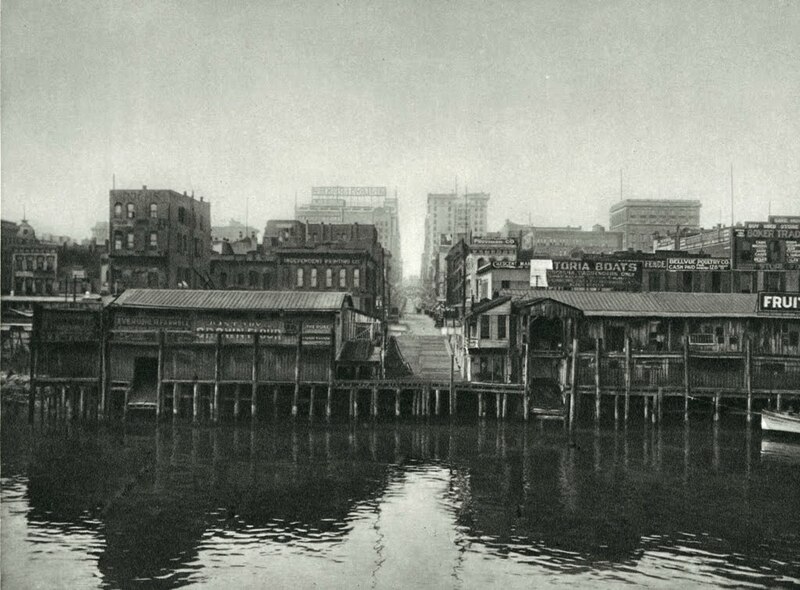 For flood control and fire abatement, the old docks were to be removed and a sea wall installed from Jefferson to Glisan streets, back-filled by material dredged from the Willamette. Behind the wall a new interceptor sewer would serve downtown. 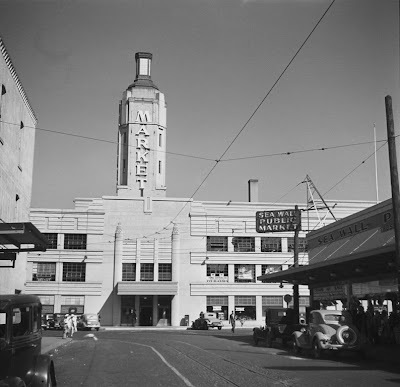 The area from the Hawthorne to Morrison bridges was set aside for a public market. Between the Morrison and Steel bridges a new wholesale district of large, modern warehouses would be built, accessed by trucks from the west and rail from the east. The proposed public market at the foot of the Hawthorne Bridge. -Multnomah County Library (non-circulating collection). Photo courtesy of Alexander Craghead. The report's transportation amenities balanced auto, rail and pedestrian modes. Bridge approaches were to be raised. Madison, Morrison, Burnside, Glisan and Front widened. Thousands of parking spaces were to be provided to alleviate downtown congestion. On top of the sea wall, a twenty five foot wide esplanade would "create a very pleasing recreational walk for the citizens of the city." 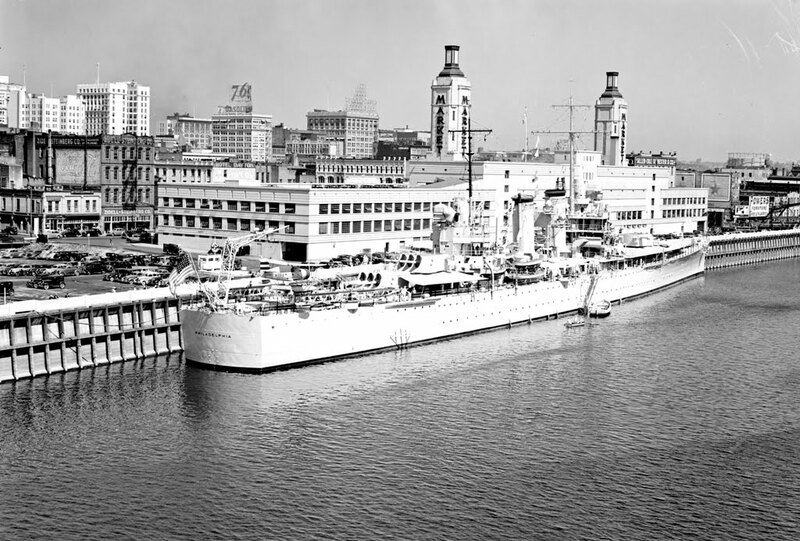 Chief among the proposal was a consolidated terminal for the region's interurban electric rail lines and ocean going travelers to be located on First and Alder, with a breezeway over Front to the river. Alder Street Station. (click on images to expand). -Multnomah County Library (non circulating desk). Photo courtesy of Alexander Craghead. 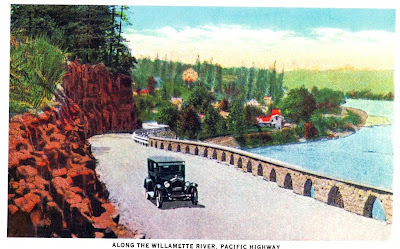 Portland was served by three interurban lines: The Portland Railway Light and Power Company and its affiliates ran to Troutdale, Estacada, Oregon City, Mount Angel and over the Interstate Bridge to Vancouver Washington. The Oregon Electric Railway served Woodburn, Salem, Eugene, Albany and Forest Grove. Southern Pacific's "Red Electrics" connected Portland to Lake Oswego, Hillsboro, Newburg, McMinnville and Corvallis. The new terminal would provide a single boarding point for all three networks and remove the trains from downtown streets. "At the present time a great deal of time is lost by these interurban lines crossing the business district of the City. As much time is consumed in traversing the business district as is consumed in traveling 15 or 20 miles after the City limits have been reached." 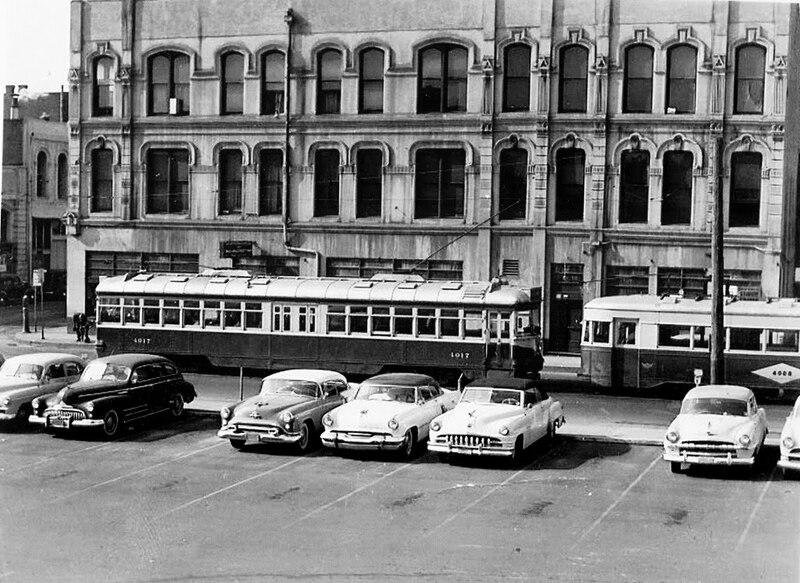 The "Red Electric" steel cars boarded at Union Station, while the Oregon Electric operated from North Bank Station in what is now the Pearl District and from a station near the west end of the Hawthorne Bridge. The PRL&P Lines loaded at First and Washington. 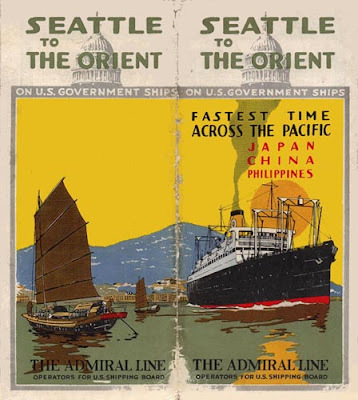 At river's edge the terminal would also serve ocean bound traffic such as from the Pacific Steamship Company, aka the Admiral Line. -Images courtesy of Timetable Images , Bjorn Larsson. The plan called for the Red Electrics and the Oregon Electric to share the latter's tracks out of town to a point near Burlingame. The vacated Red Electric right of way would then be used as a new route for the Pacific Highway into Portland. The placement of the terminal, market, esplanade and parking facilities was anticipated to generate large amounts of pedestrian traffic that would revitalize the lower downtown district as people crossed back and forth to the city center. But the components of the plan were never to fully coalesce. It is tempting to view the Laurgaard plan as another instance of Portland dreaming big and spending small, alongside the Olmstead parks plan, Bennet's city beautiful re-design, the initial response to the Robert Moses report and the stadium proposals of the 1960s. Much of the plan though was implemented in relatively a short time. Work on the sea wall, interceptor sewer and esplanade, Oregon's largest public works project to that date, was completed in less than four years. Bridge access improvements, street widening and a public market were finished within a decade. 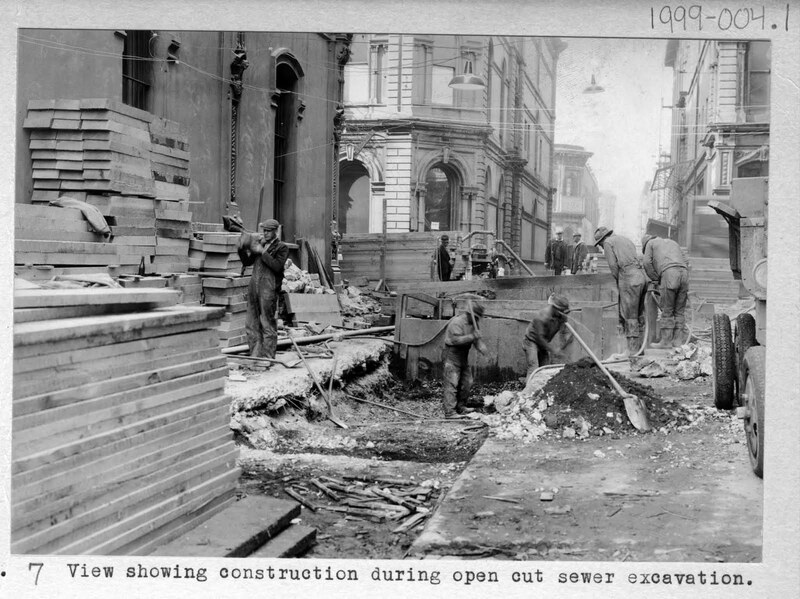 The proposed sewer was hardly a panacea. Back ups into downtown basements ended as hundreds of makeshift outlets into the river were replaced- by a single overflow. The Public Market building opened in 1933 on the site proposed by the Laurgaard Plan. Initially a success, its popularity with customers and vendors soon dropped off. It closed in 1942. From 1948 to 1961 it was home to the Oregon Journal. The building was demolished in 1968. A street level view of the Portland Public Market and the smaller Sea Wall Public Market at Taylor and Front Avenue, prior to 1943. The railroad tracks were freight only, operated by the United Railway, an Oregon Electric Railway affiliate. Only the interurban / ocean terminal and the wholesale district proposals were not acted upon at all. With each recasting of the plan through the 1920s the rail component shrank as the popularity of the automobile grew. By 1930 it was gone. In 1933 the Pacific Highway would be built on the former Red Electric right of way as Barbur Blvd. 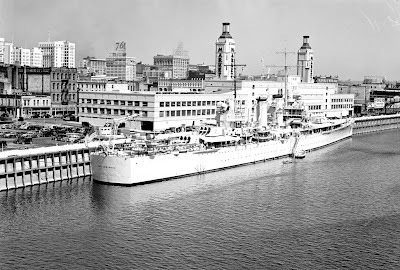 In the early 1940s the waterfront would be used for transportation, in the form of the Harbor Drive freeway. Portland takes on a Le Corbusier tinge with the 1932 Bartholomew Plan. Intermediate between rail and freeway, it featured a park along the river. What if the report had been fully implemented? Any counterfactualist historic revelry has to be tempered by trends already in place at the time. As attractive as a regional electric rail network emanating from downtown would be today, Alder Street Station was unlikely to have arrested the decline of the interurban systems in the 1920s and 1930s. Perhaps the city envisioned in the Laurgaard plan is best viewed along the lines of the many Portland's dreamed in Ursula LeGuin's The Lathe of Heaven, familiar elements recast to form alternate realities -made all the more intriguing by how close it actually came to pass. 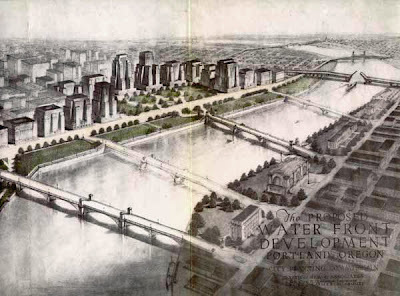 The proposed waterfront of 1923, a fold out in the report. The Portland Railway Light and Power (later the Portland Railroad and Terminal Division of Portland Traction) lines continued to load at First and Washington for another thirty three years, until its tracks were removed from the Hawthorne Bridge, cutting access to downtown. The rare view above was possible only between 1954, when the Dekum Block (1871) was demolished to make a parking lot, and the end of downtown interurban service in September 1956. The surface lot expanded upon the city's first, on the site of the Labbe Block, immediately next door. It is still there. 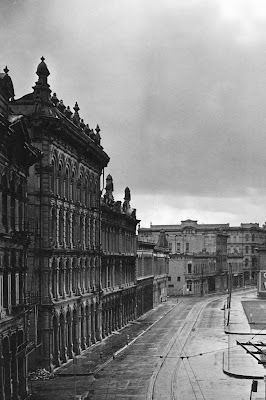 Is the building that housed the interurban station at SW 1st and Washington still there? Or did it get demolished during the "new" Morrison Bridge construction? Yes, taken out by the Morrison Bridge ramp construction which took out everything that was not already a parking lot in that immediate area. 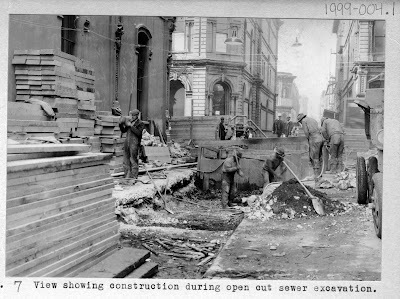 I am glad I was not around to see it happen, there was some pretty great stuff taken out then, including the Corbett Building whose facade was delivered around the horn from a foundry in Baltimore. I'm pretty sure I would have chained myself to that! The shape of those rails in the bottom photo immediately makes me think of the shape of the hardscapes east of the Salmon Spring Fountain. It's so neat to take this step back in time and learn where so many prominent features came from. I'm impressed how the flood control system seemingly has enough backups. I just hope they hire efficient drain cleaners though. If that backup sewer clogs, the rest of the system could fail if the river rose high enough or if there was heavy rainfall. Good Information. Thanks for the Article. Mother's Day is an overall event that occurs on different days in spring dependent upon where you live. In numerous countries, Mother's Day is the second Sunday in May. It can be troublesome picking what to do to praise your mom on Mother's Day. mothersday messages The key is to consider what she would require most, and a short time later arrangement to make the day a remarkable one for her. I hope to hear more posts from you. It's nice to learn about history via photos.